I’m not gonna lie to you guys. I’ve been on the road a lot the last year or two and this had led to me being less prolific than I’d like to be. More than once, I’ve gone a month without even making a beat. So, every now and then, you gotta create to stay sharp. One way I like to do that is take a song I’m currently listening to a lot and try and remix it. This isn’t always possible as acapellas can be tricky to come by. I was lucky enough to be sent this DIY acapella (Shout out to Ryan for that) and the rest is history. In the case of this remix, we find a song that I’ve been strangely obsessed with. Funny thing is, it’s some random R&B song…which isn’t typically my flavor but, hey, music works in mysterious ways. 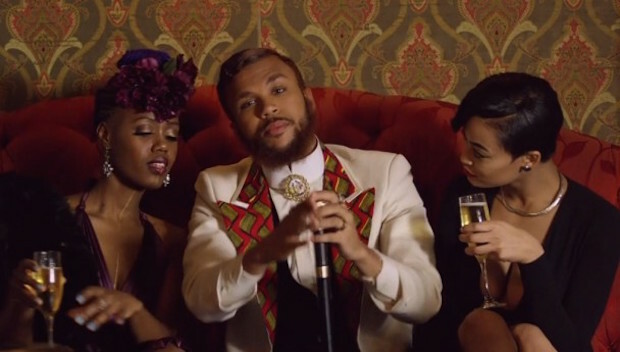 If you’re not familiar with Jidenna or this song. He’s a new artist Janelle Monae is putting out. I could ramble on about him but I think it’s best you watch the video of the original version of “Classic man” to really get where he’s coming from. Me simply saying “Yo, his clothes are nutty!” wouldn’t really do it justice. Part of the fun with remixing tracks is taking the originals away from their intent. If you’re familiar with other remixes like this I’ve done (Regina Spektor, Fiona Apple or Bobby Shmurda) , I generally take upbeat or hi energy songs and make them somewhat melancholy. That’s my thing….and this one is no different. I should also point out, this was done for fun on my part and with no consent from the artist. I’m not selling it. I’m simply putting it up on soundcloud. So, I hope Jidenna doesn’t mind. My guess is, he’ll never even know it exists. Oh well. So, here it is. Enjoy! Side note, saying “I can pull the wool” is an amazing way to describe getting girls. Not sure if it’s something a classic man would say but I enjoy it. Here’s a download link cause the soundcloud downloads expired. Enjoy!